Susan Apold, PhD, RN is a nationally known and widely respected leader in the professional nursing and nursing higher education community, and currently serves as Dean, School of Health Sciences and Nursing, Concordia College, New York. Dr. Apold is the Founder and Principal of Apold Leadership Development, which provides consultative services for academic and clinical nursing programs, guidance for colleges and universities in the development and implementation of nursing departments, direction for programs seeking national accreditation and leadership in the development of cutting edge programs designed to prepare nurses for the future of health care. Dr. Apold is a sought after career coach who provides individual consultation and strategic guidance to nurses as they advance their professional careers. A passionate advocate for nursing, she is a nationally sought after inspirational speaker, who energizes her audiences around the power of the nursing profession to make substantial and meaningful change for individuals, families and communities. Alumna of the Robert Wood Johnsons Executive Nurse Fellowship Program. Dr. Apold has expertise in quality improvement science, state and federal regulation guiding professional practice, development of cutting edge organizational structures, faculty shared governance models and program development. An avid yogi, Susan brings a unique mix of vibrant energy and mindful thoughtfulness to her clients. 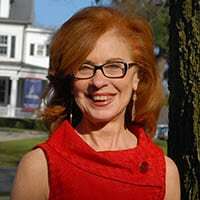 Susan received her BS from Holy Family College and her MS from the University of Pennsylvania, both in Philadelphia and her PhD from Adelphi University in New York. Apold is a practicing Board Certified Adult and Geriatric Nurse Practitioner and a Fellow of both the American Academy of Nursing and the American Academy of Nurse Practitioners. She holds an academic position as a Clinical Professor at the New York University Rory Meyers College of Nursing in New York city. She and her husband live in New Rochelle, NY.